Hallmark Channel's Summer Nights "Love at Sea" Premiering Saturday, August 11th at 9pm/8c! Home >> Entertainment >> Hallmark Channel’s Summer Nights “Love at Sea” Premiering Saturday, August 11th at 9pm/8c! Hallmark Channel’s Summer Nights “Love at Sea” Premiering Saturday, August 11th at 9pm/8c! This post is brought to you by Hallmark Channel. All opinions are my own. Summer is winding down, and, I for one, don’t want it to end. I’m soaking up every last minute of the season by spending my Saturday relaxing on the beach and then coming home to watch “Summer Nights” on the Hallmark Channel. I have an affinity for Hallmark movies, and Hallmark Channel’s “Summer Nights” is delivering 5 all-new original romantic movie premieres— one each Saturday night at 9 pm EST—and the season 3 premiere of Chesapeake Shores. This Saturday, August 11th at 9pm/8c, Love at Sea is premiering, and I can’t even tell you how excited I am for this one because I have my own love at sea story! Needless to say, the entire premise of Love at Sea, starring Alexa PenaVega and Carlos PenaVega, speaks to me and I can’t wait to watch and live tweet the debut this Saturday night! Event planner Olivia gets a game-changing opportunity to organize a major event on a luxury Caribbean cruise, hosted by her best friend, cooking and wellness star, Alexandra. Olivia meets her match in the charming Tony, who is on a trial run as Cruise Director, but they must work together to make the cruise go off without a hitch, for the sake of their careers and friendships. 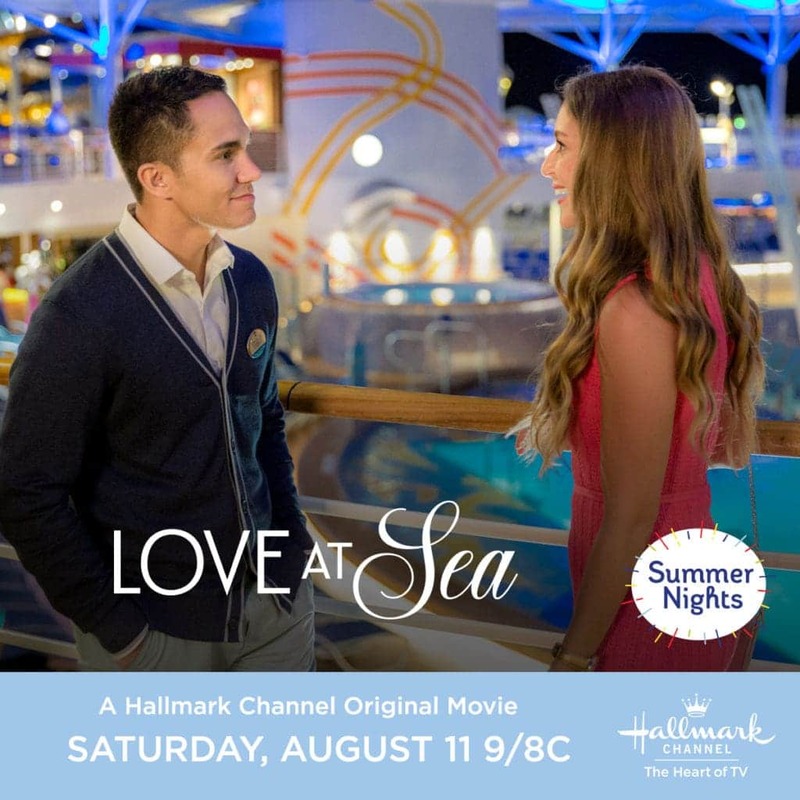 Be Sure to Watch “Love at Sea” on Hallmark Channel on 8/11 at 9 pm! Hallmark Channel is hosting a Summer Nights Sweepstakes where you have the chance to win your own Summer Nights Bucket List! The grand prize is $5000 to make your bucket list a reality. Amazing, right!? Entering is easy, simply visit the Summer Nights Sweepstakes page and click to add your top 10 favorite activities from the list and then submit your contact info. My family and I had gone on a cruise to Bermuda. Also, many years ago, I went on a cruise to Alaska. No never been cannot swim so would never ever do it. No, I have never been on a cruise. I have not been on a cruise but sure would love to. I have never been on a cruise myself but my parents have cruised to Alaska, Greece and the Bahamas. No I haven’t been on a cruise yet. I have been on one cruise and it was to the Bahamas. I’ve never been on a cruise but my husband has been saying he wants to go on one. I have not been on a cruise heard way too many scary stories about them. I’ve been to a couple of boat dances, but no cruise! I haven’t been on a cruise, would love to someday. Yes, I have been on a cruise to Alaska. I cruised to the Bahamas and really liked it! I have sadly never been on a cruise! I have never been on a cruise but would love to. I have been on three cruises. The first cruise was a seven day cruise around the Bahamas. The 2nd cruise was to Puerto Rico, St. Maarten, St. Thomas and the Bahamas. The third cruise I went on was to Alaska and Canada. I love going on cruises, they are sooo much fine. I have never been on a cruise. I am hoping one day though. I have never been on a cruise before but I hope to one day cruise Northern Europe! Yes, we went to Mexico and Bahamas. a long time ago. To Mexico. I went on a birthday cruise to Crete when I lived in Italy. Taking a cruise is on my bucket list. I have been on several cruises. My favorite was a Mediterranean cruise to Italy, Greece and Turkey. No, I haven’t ever been on a cruise before. No, no cruise. I’m not sure if I would either! I have cruised in the Caribbean and also the Greek islands. I was on a cruise and I went to Florida a couple years ago. Yes, I went on a cruise with my family to the Caribbean in 9th grade. Yes, I have been on a few cruises – my favorite was a Caribbean cruise. I have never been on a cruise but I have always wanted to go on the Alaskan cruises. They sound classy and the scenery is just amazing from pictures I have seen of other people’s trips. Yes, I have been on a cruise. I went to the Bahamas. My husband and I went on an Alaskan cruise 3 years ago. I have not been on a real cruise, only around the local harbor. We have never been on a cruise!! I never have been on a cruise. I have not been on a cruise before. We have been on 9 cruises! Its our favorite way to vacation. We usually cruise our of New York so its always Eastern Caribbean except last year we got to go to Mexico and Hondorous and Dominican Republic. Loved it!! I have only been on like an hour cruise around the local area. Went on 2 Disney cruises, Alaska and Caribbean! I have never been on a cruise, but I hope to someday. Thanks for the giveaway! I have never been on a cruise but I have always wanted to go on one someday. I went on a cruise to Alaska and loved it! I have not been on a cruise but hope to someday. No, I’ve never been on a cruise. Yes, I love cruising. Haven’t been for awhile now but our last cruise was to Puerto Rico and Barbados. It’s a great vacation!! I have only been on a local cruise. I have not been on a cruise…yet. Wishing. My only cruise was from Oceanside, CA to Catalina Island. We went on a cruise once . one of the stops was Belize. I have never been fortunate enough to have been on a cruise but it is definitely on my bucket list!! Nope, never been on a cruise.. maybe one day! I have not been on a cruise yet. We went on a cruise 32 years ago. Would love to do it again! Panama Canal would be awesome. I have not been on a real cruise. I have not been on one but it’s on my bucket list. I’ve been on lots of Caribbean cruises, also Alaska and the Mexican Riviera. I have not been on a cruise but would love to!! I’ve been on many cruises and my favorite port was Aruba. Yes, once. I was on a cruise to Alaska. I have not really been on a cruise. Never been on a cruise, but would love to try one. I have been on 8 cruises and already have one booked for next year. They are so much fun and there is so much to do or not to do if that is what you want. We have been to Hawaii, Bahamas, Mexico, Bermuda and the Virgin Islands. It is my preferred method of travel because you get the activities on the ship PLUS you get to explore different island and ports! I have never been on one but would love to. I have a friend that takes one yearly. Over 5 years ago we went to Mexico! I have not but hope to someday. I have been on a cruise to Alaska. Thanks! I have never been on a cruise! I’d love to go to Alaska someday. I would love Cozumel I think! i have not, but i hope to some day!! I love cruising and have been on lots of cruises. I’ve never been seasick even when practically the whole crew was down and out coming back from Mexico. I want to go on a cruise some day but have not so far. I’ve been on a cruise to the Bahamas. I have been on a cruise to Alaska before. Thank you for the giveaway! Disney cruise sounds like it would be fun for families. No, I have never been on a cruise. Someday I would like to go on a cruise to Alaska. I have never been on a cruise and I’m not sure that I would enjoy it but if I did I would say that I would want to go somewhere cold. Maybe a Scandinavian cruise. I have never been on a cruise but I would like to take one to Mexico at some point in the not so far future. I have a good friend that takes a cruise every year. Yes, I have been on a cruise to Alaska. Thank you! No, we have never been on a cruise. No, I have not been on a cruise. I took a cruise to Bermuda and was so happily surprised at how beautiful it was and how much fun I had. No, I have never been on a cruise.. I have been on 1 cruise. It was a Disney cruise to the Bahamas. I have not really been on a cruise .beforee. I went on a cruise to the Bahamas. I went on a cruise to Alaska. It was one of my favorite trips. I have never gone on a cruise.. I have been on Alaska cruise. It was great. I’ve never been on a cruise but I would like to. I’ve been on many cruises. Grenada was an interesting port – learning about spice and the history of the island.. I have not been on a cruise. Yes, I have been on a cruise before to the Western Carribean. I have been on a cruise once and it went to Mexico. I have not been on a cruise yet! I haven’t been on one yet but would love to go on a Caribbean cruise! It’s been a dream of mine for a long time. I have never had the chance to go on a cruise. Would love to! i took a cruise to the bahamas with some friends in my early 20s. it was fun but we all got so fat and so burnt. I’ve been on a lot! Mostly Caribbean and Alaska. LOVE it! I have never been on a cruise. I hope that at some point will go on one. I have never been on a cruise. But I would love to go around the Hawaiian Islands or the Caribbean. I have been on 3 cruises and my favorite was the Alaskan one. 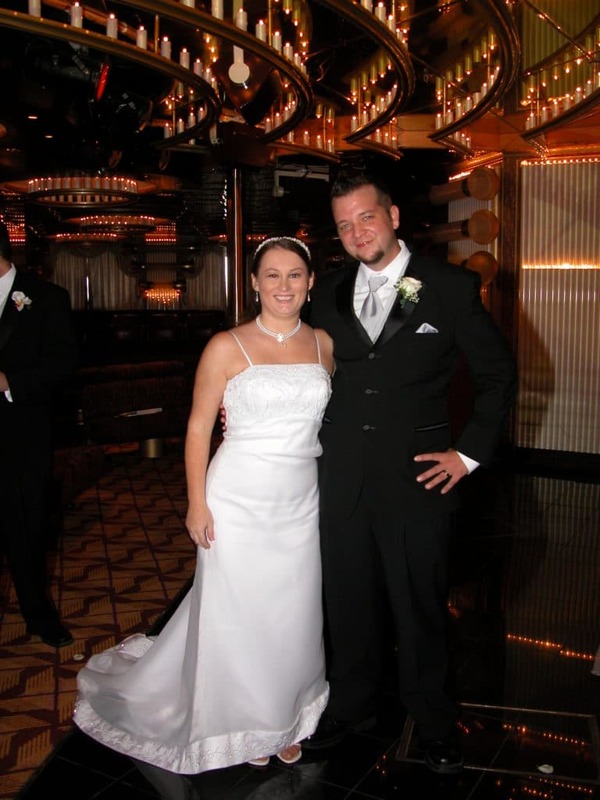 I have not been on a cruise, my husband has always been anti cruise. We have been talking about it though and he is at least willing to consider it as a vacay option now. Yes, Carnival to Ensenada, Mexico was my first cruise. Then Princess to Inside Passage Alaska. Then Oceania for a Mediterranean cruise for my honeymoon. I have been on a small cruise in Boston. I went to San Juan. Such a beautiful place with wonderful people. The hurricane damage is heartbreaking to see. Yes, I have been on 8 cruises and the most recent to New Zealand & Australia. Never been on a cruise… want to go to Bahamas. Have not been on a cruise, yet. No, I have not been on a cruise. My husband and I really want to go on one next year! I have never gone on a cruise but want to.. I have never been on a cruise but would love to! Yes. I went on a cruise from Tampa Florida to Cancun Mexico. It was so much fun. I have not been on a cruise, thanks for the chance to win. Alaskan cruise for our 25th anniversary. i usually can’t afford something so exotic as a cruise. I was very lucky that I won a cruise 25 years ago. It was a 3 day comedy cruise in the Caribbean from Tropicana Twister and it was unforgettable! I’m hoping to do it again someday. No, I have never been on a cruise and don’t plan on it. No I’ve never been on a cruise. I haven’t been one but I need to. Only small cruises. Dreaming of a real cruise vacation. I have never been on a cruise before unless you count a dinner cruise. I havent been yet, but would love to go on one! I have not yet been on a cruise but some of my family (including my 13 year old son) is going on a cruise next summer. I will have a newborn baby so I will be staying home by myself. Fun stuff! I went on a cruise to Alaska. I have never been on a cruise. I don’t think I would like going on one. I went on one when I was about 5. I remember how fun the beach at the Bahamas was. I hope to go on a cruise but have not so far. Carnival Line and to the islands. I went on a Disney Cruise a few years ago. I have never been on a cruise, but would like to one day! I have never been on a cruise. Sounds nice though. I haven’t been on a cruise before, but I would really love to take an Alaskan cruise, or perhaps a Disney one! Yes, I have been on a cruise before and I went to Catalina. I have not had a chance to go on a cruise yet. I went on a Disney Cruise many, many years ago when my son was a toddler. I haven’t been on a cruise yet. I am a cruise virgin. no but i have been white water rafting so i am ready able and willing to. I have not gone on a cruise yet. No, I have never been on a cruise, my luck I would be enjoying myself in port and the boat would leave without me. I have not been a long cruise but a small boat cruise for 3 hours. I would love to go on a cruise. I haven’t been on a cruise yet but I’d like to one day. I love cruises! I’ve been on a New England cruise, a Northern Europe cruise and 2 Alaskan cruises, If you can travel within a few weeks notice they have some great deals on last minute cruises. I have never been on a cruise and am afraid to go far into the ocean, but there is a cruise that hugs the New England coast I’d like to go on. Thanks and God Bless! Nope, I’ve never been on a cruise. I do not really go on cruises. I have been on a cruise touring the Caribbean before, about twenty years ago. I’ve never been on one, but I would like to with my husband! I have never been on a luxury vacation cruise. Have been on a windjammer cruise, lot of work but fun! I have not yet been on a cruise. I have not been lucky enough to have been on a cruise but sure want to. I have been on one cruise, over 10 years ago! We went to Panama Canal and stopped at various locations throughout the trip, such as, Aruba, Jamaica, etc. I took my children and it is a great memory that we still bring up from time to time. I have taken one cruise, and had a nice time. It was a Caribbean cruise, and although we visited some islands, I decided that I would rather just visit the island and have more time there, rather than the rush visit during a cruise, if I ever did something in the area again. I have never taken a cruise as of yet. We hAVE NEVER BEEN ON A CRUISE BUT WE WOULD LOVE TO GO ON ONE. No I have never been on a cruise. I have been on a cruise, once, when I was in my early twenties with some friends. We went to Bermuda and it was a great vacation! I would love to do it again someday! I have never been on a cruise either and would love to one day it’s on my bucket list of things to do. A small cruise around the harbor. I’ve ben on 2 cruises. One, about 10 years ago, including my children, out of LA, to Cabo San Lucas, Mazatlán, and Puerto Vallarta, and the other, a couple of years ago when a convention I was attending was on a cruise ship. This out of Miami, to Costa Maya, Belize;Roatan and Cozumel. I have never been on a cruise but would love to go. We went on a Caribbean cruise. It was so much fun. I’ve never been on one-yet. It’s on my bucket list. I have never been on a cruise.. maybe one day soon! No, ive never been on a cruise, maybe someday! I haven’t been on a cruise yet, but hopefully, one day I will. I haven’t been on a cruise. Yes, Last year I went on my first cruise to Nassau, Bahamas. I have never been on a cruise but it sure is on my bucket list! I hear a cruise is wonderful especially the food. I would like to go on that Mediterranean cruise I have seen advertised. I’VE BEEN ON TWO AND GOING ON MY THIRD IN OCTOBER. WE WENT TO THE CAYMAN ISLANDS, COZUMEL AMD JAMAICA. A cruise around the world, although not very practical, would be nice if I could find the time to do it. Have not been on a cruise since I was a kid, went from NYC to London with my grandparents. My daughter and I went on a cruse to the Caribbean. It was fabulous. No I have not been on a cruise before…one day! I have been on 1 cruise. It was from California to Mexico and back. I have not been a cruise but it would be fun to go on one! !